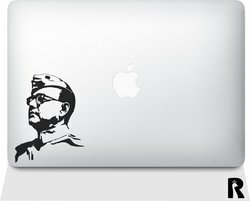 Decorate your Macbook with our High Quality Stickers , get as many options as your want to choose from. 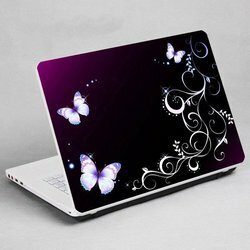 Laptop skin sticker decal for macbook pro air 13" 15" 17"
We take pleasure in introducing ourselves as leading firm by offering Laptop Designer Skin. Butterflies are a chiefly diurnal group of the order Lepidoptera (which also includes moths). Adults have large, often brightly coloured wings, and conspicuous, fluttering flight. The group comprise the true butterflies (superfamily Papilionoidea), the skippers (superfamily Hesperioidea) and the moth-butterflies. Especially using for Computers, Mobile Instruments, Laptops, Washing Machines, Fridge, Gas Stoves, LED Lights, i.e.Electronics and Electricals etc. The laptop skin comes with professionally designed 3D stickers and enhances your laptop's looks at the same time giving it full protection against scratches and abrasions. It can be easy used as well as removed. Made of high quality material, the sleeve also protects your darling device from dust and dirt.